vicsmodels, BarstowRick, Carl Sowell and 4 others like this. Easy to assemble??? I can barely put my cars on the track! I'll be watching, good luck! Espeeman, bmwfitness28 and SP-Wolf like this. Not quite "shake the box" is it? Is this the lark in Kato's poll that will be announced just as soon as you finish your "kit?" Hardcoaler and SP-Wolf like this. Kurt Moose and JMaurer1 like this. Looks like fun. 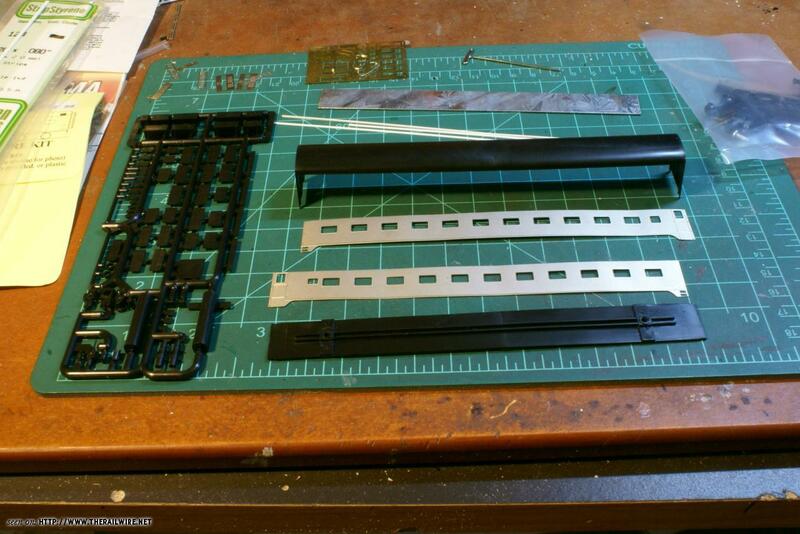 One of these days I need to get back to finishing up my latest "kit" train. All the cars are assembled but they need paint and decals. Looking forward to following your adventure. Kurt Moose and SP-Wolf like this. Thank you for letting everyone else get a factory Kato Lark. Looking forward to your build. JMaurer1 and SP-Wolf like this. Nick Lorusso and JMaurer1 like this. Nick Lorusso and SP-Wolf like this. NScaleKen, rpeck, DD99 and 5 others like this. My plan is/was to build the cars in their order in the train. Did you get a hold of Roberto recently? Besides the above (pun intended) -- I have the sides for: Plan 4140C (10-6 sleeper) 4 cars, plan 4071D (13 bedroom) 3 cars, plans: 7452,7453 and 7454 (Lounge-diner-kitchen), Plan 4069G (4-4-2 sleeper) 1 car and - I am going to use a round end observation instead of them being rebuilt into blunt ends - plan 4082 (2-1-1 buffet-lounge)- as Kato's car is pretty darn close. I have just ordered the sides for the class 7402 (snack lounge) and just the fluting to kind of back date a Kato articulated chair set. I miss wrote the SP class above- I need a 64ACM/ACW-1 -- not a 66ACM/ACW-1. The cars will be closer to what I need (I must remove the baggage elevators - and there is a bathroom window that is incorrect -- I'll live with that). Hey Ghengis -- sorry, I have not. I purchased all of the sides many many years ago. I will reply here just so I get notifications on this thread. I haven’t seen a heavy duty build thread around here in a while. I am an HO guy, but N scale building is pretty much the same. Is this a kit or just a car taken apart with new sides? It is good to see that custom building isn’t dead. To answer your question -- For the entire train - it will be both. Most of the cars are in kit form. 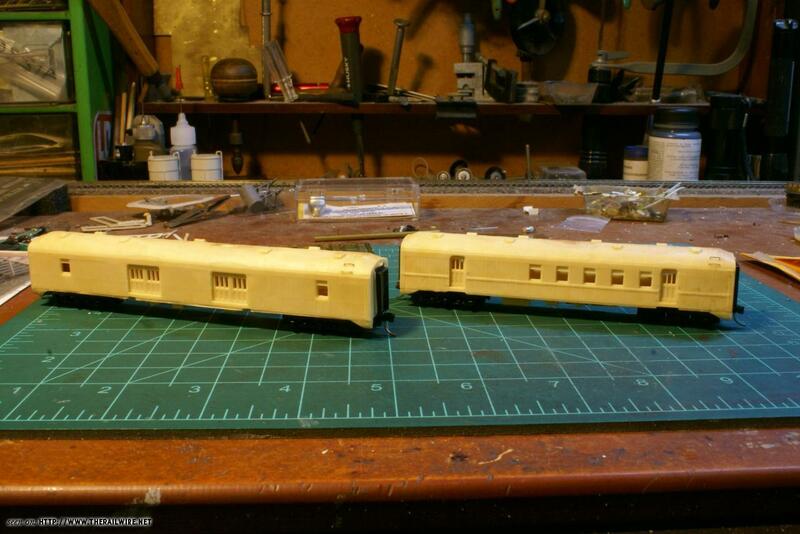 The head end cars are resin. 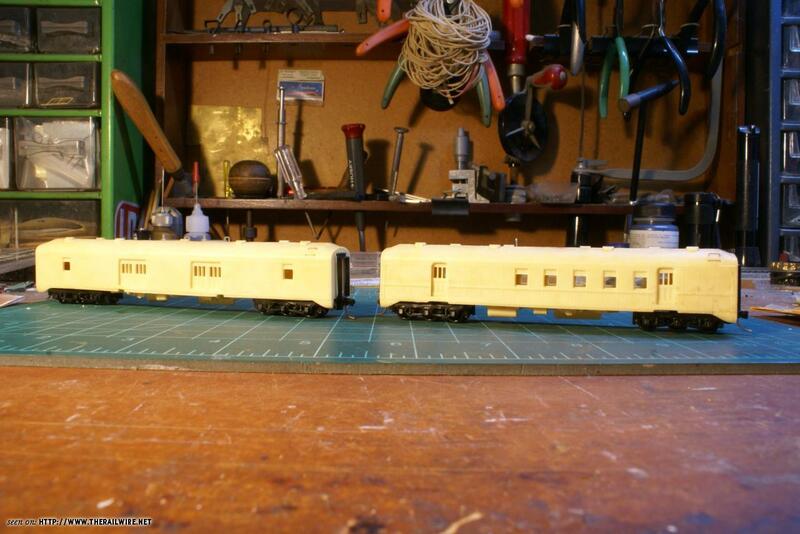 The articulated chair car, the snack lounge and the 3 unit Lark club will be modified from Kato cars. The car above is made from M&R brass sides with American Limited core kits (There are 7 cars like this) 2 of teh cars of from Des Plaines Hobbies kits.